Is there a better alternative to Hong Kong News? Is Hong Kong News really the best app in Author Tools category? 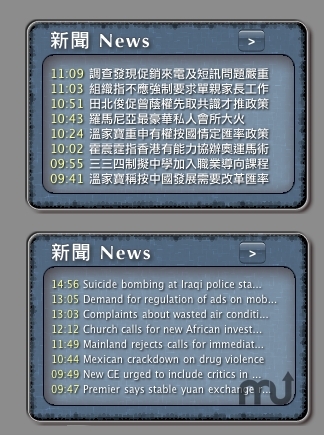 Will Hong Kong News work good on macOS 10.13.4? ALWAYS™ up to date information - Whenever you feel you need to know what's going on around the world, just click the Dashboard, HKNews will show you the latest, most update news, no need to click anything, always the latest! Progress report - it now shows you errors and download progress! Hong Kong News needs a review. Be the first to review this app and get the discussion started! Hong Kong News needs a rating. Be the first to rate this app and get the discussion started! Show you the differences - HKNews will highlight news items that are added since your last viewing, you always know what is new and what is not. A whole day news at your disposal - HKNews shows you daily news from midnight, if you feel like to check the news from last few hours, just click the previous button. User initiative interface - the user interface is easy on the eyes, no gimmick control. Just news and no non-sense. Click-through - you can click the news item and bring you straight to the detail in browser.